Q. The commercial real estate market in South Florida and across the U.S. has improved significantly in the past year. How has that affected your practice? Somerstein: My clients, who include residential, timeshare, multifamily apartment and retail developers, are now doing more traditional transactions, after the recent cycle when we were all doing distress transactions. They are not doing the enormous land development deals like they used to do in the past. Instead of 14,000-acre and 5,000-acre land assemblages, developers are now moving to a different model, with land and products that go online as needed. Price points are rising to the point where some deals don’t make sense. In the residential area, I’m seeing sellers ask not just for a base purchase price but also for a contingent purchase price based on a resale of the property, that on land you couldn’t give away before. The single-family market is getting very healthy again, and there is a lot of competition for finding inbound properties in that sector, as well as multifamily and retail. I’m finding some people are starting to overpay. There are a lot of larger developers who want to do deals but don’t need to do so. Some have pared down their development staff to reduce overhead – one of the smart lessons from the recession. In general, I see a healthy environment from both an acquisition and a development point of view. But of course once a market looks good, it soon gets overpriced and over financed – people have very short memories. Q. Is that true in different markets? 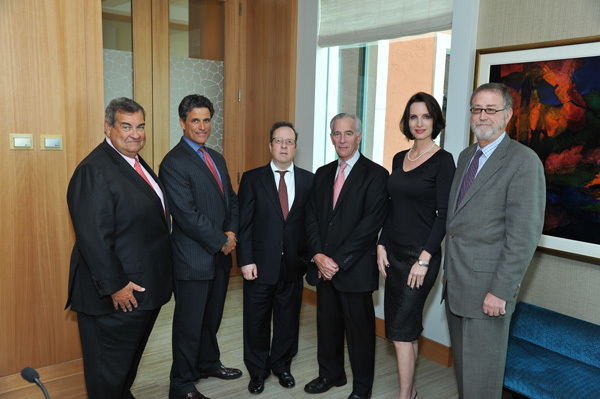 Henriques: We are very focused in Florida and New York in our lending practice, with a concentration on South Florida. While we have seen a strong rebound in Miami, other areas in Florida are much slower on the uptake, and the prices have not come back the same way. Somerstein: I’m seeing prices rise in major cities in Texas, South Carolina, Georgia and Florida. But the increases are not uniform. It’s not so much the downtowns or the class A office markets, but the good suburban apartment markets that are getting very pricey. Q. Are investors and developers overpaying for properties? Foschini: We see a lot of that on the international side. In gateway cities like San Francisco and Miami, buyers feel that these are safe investments. If there is a lift in rents and job creation, it will occur in these locations, rather than smaller submarkets around the state. But there is a scarcity of good product here. The office buildings on Brickell, for instance, are almost entirely owned by institutions and a few high net worth foreign investors. There is little opportunity for buyers looking for distressed assets. Since there is little construction on the office side, that’s leading to increases in rental rates. Cronig: We need also to recognize that overpriced is a relative term. For a lot of my foreign clients, U.S. real estate is still dirt cheap. Compared with commercial properties in Tokyo, for instance, our prices are like a fire sale. 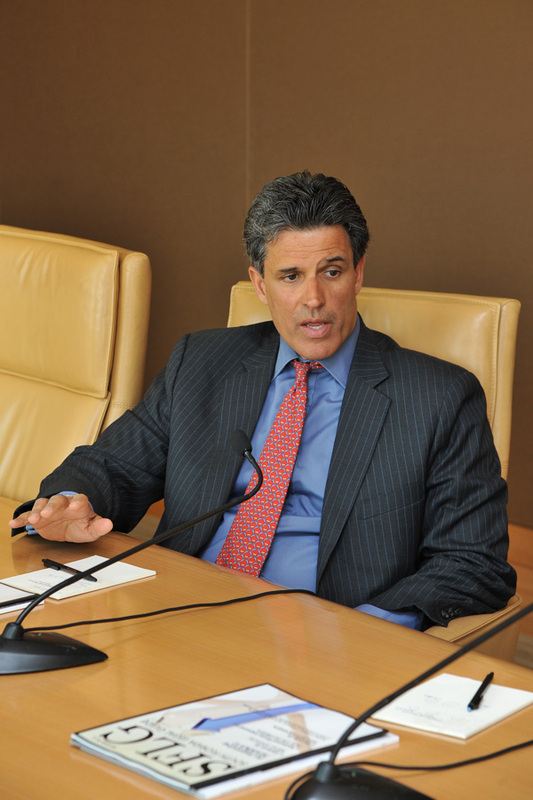 Somerstein: We did work for clients in Dubai who were looking at the U.S. as a cheap investment. That didn’t work out for them, though. Kriss: I think that overpricing is more prevalent in New York than South Florida. Properties in New York are heavily marketed and there is a lot of competition. Some of those people are going to pay too much, and that can spoil it for others who want to deal more carefully. But I don’t see as much competition here. Yes, there is competition and people want good properties, but it’s not like the hysteria you see in New York. I tell our clients to take a look at South Florida, as they can do more deals here. English: I see elasticity in changing investment targets. When prices are overheated in one sector, investors start moving to another sector. We may be getting to that point now in multifamily, but that will mean a lot of investors and lenders will look harder at office and industrial and retail now. In multifamily, a lot of money has been chasing very few deals and that tends to lead to higher prices and a move to other sectors that offer better opportunities. Q. In the multifamily market, one financing solution was to require large down payments and interim payments, resulting in an equity structure that uses the buyers’ money. Are you seeing that financing strategy change as loans become more available? English: South Americans are comfortable with the model of big cash payments from condo unit buyers. We have strong developers in South Florida who survived the downturn and were ready to go when the market changed. Their model of cash payments began in the super luxury sector, but now it has moved down to the luxury market. There are plenty of people who want to put their money into luxury condominiums and have the cash to buy them. Henriques: In South Florida, we have seen a minimum of 20 percent down payment but now it’s more like 50 percent deposits for the construction of new condominium projects. I think pricing plays a big part in that model. The likelihood of getting a 50 percent deposit is slimmer for a $300,000 unit than at a higher price point. Somerstein: While getting 100 percent from the buyer was a new concept here, it was the course of conduct in the Middle East as well as South America. Cronig: The Florida condominium statute says you can use anything over 10 percent from the buyer for construction. The anomaly is that those funds are all junior to the construction financing. If there are 100 buyers in the condo building, in effect they become your partners in building it, and are at the tail end in a bankruptcy if the project goes under. It’s an enormous risk for the buyer, and I think buyers will be less tolerant of this model in the future, even if the developer uses a bond to cover that 10 percent. Henriques: For us to do a loan there has to be hard equity in the project by the sponsors. Also, we would not allow the developer to “bond off” that first 10 percent. Steve is right and typically the loan comes ahead of the owners’ money. So, we would be looking at an equity commitment of 40 percent or more for the construction of the project. It doesn’t all come in up front, in terms of the timing of that money and the commitment. On the multifamily rental side, the numbers are different, but it still comes to a minimum of 30 percent of hard equity upfront. The loan money is out there but there has to be substantial sponsor contribution upfront to get that financing. Somerstein: We have done four deals with no construction liability at all. The developers are using forward purchase contracts as credit enhancements for their personal guarantees. We see that with a lot of developers. Foschini: When you get into structured financing for assets in need, there is a huge disparity in financing. In construction, those who don’t need it are the ones who get the money. Somerstein: In some cases that’s true, and in other cases, people with high net worth are getting commitments for their financing. When they stabilize the property, they will exit through Fannie Mae or Freddie Mac. Although they can get the loan, they don’t want the lease risk when the building gets its CO [certificate of occupancy]. Q. 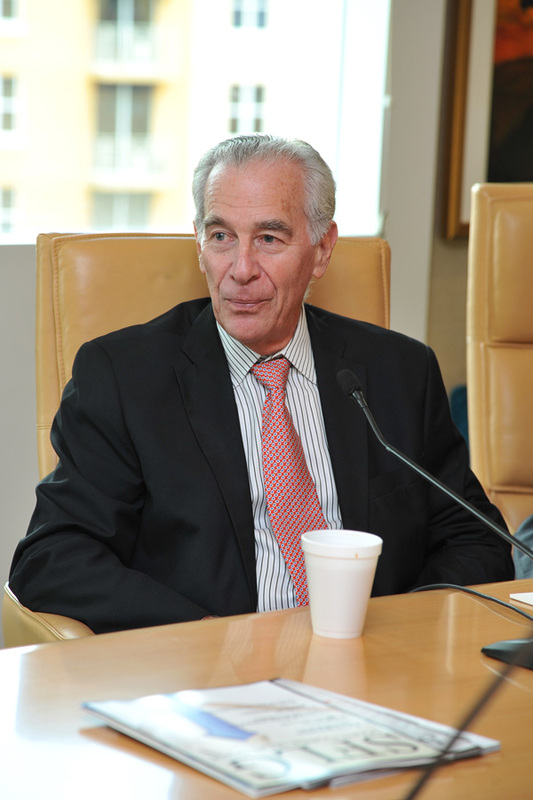 How are institutional investors viewing South Florida? Somerstein: Our market has grown up in the last generation. The institutional appetite is high for multifamily and for industrial. They look at the Port Miami infrastructure projects and the expansion of the Panama Canal as major factors that make our industrial market appealing on a national level, like northern New Jersey. In the office market, institutions look at Brickell, Coral Gables, downtown Fort Lauderdale, downtown Orlando and Tampa’s Westshore market. There is no appetite for suburban office properties. Kriss: Bargains today are much harder to find — they just aren’t there anymore, and it’s back to business as usual. I think the institutions have liked Florida for decades, regardless of the market cycle. During the recession of the late 1980s, I was in the office of an executive with a major insurance company. He had a map of the U.S. with green push-pins for every performing loan and red for nonperforming loans. In Florida, there were so many red pins he couldn’t fit them all on the map. Q. What are lenders doing today that may be different from the last cycle? Kriss: In my experience, lenders have short memories. They made a promise never to lend over a certain LTV [loan to value]. Then, they went back to doing 95 and 100 percent loans. Today, everything is fair game again, and they don’t remember the bitter experiences of the past. They have to be in the market and there is competition on the lending side. While the institutions have been burned in Florida worse than in most other states, they are still here. While they said they wouldn’t lend without recourse, and never to lend on an unsubordinated ground lease, they’re still doing that. Somerstein: Speaking of ground leases, we are doing three of those deals now for clients with the Florida Department of Transportation, Port Everglades and Florida Atlantic University on its research park. Cronig: Has the increased level of bank regulation tempered the 95 to 100 percent exuberant lending practices of the past cycle? Henriques: I don’t think it’s the regulations. Typically, the regulators will react once there is a problem, rather than in anticipation of the problem. It’s really the policies and procedures from the people who are directing those institutions. Somerstein: What about the method of compensating loan officers with commissions for bringing in new loans. Has that had an impact on the scrutiny of those loans? 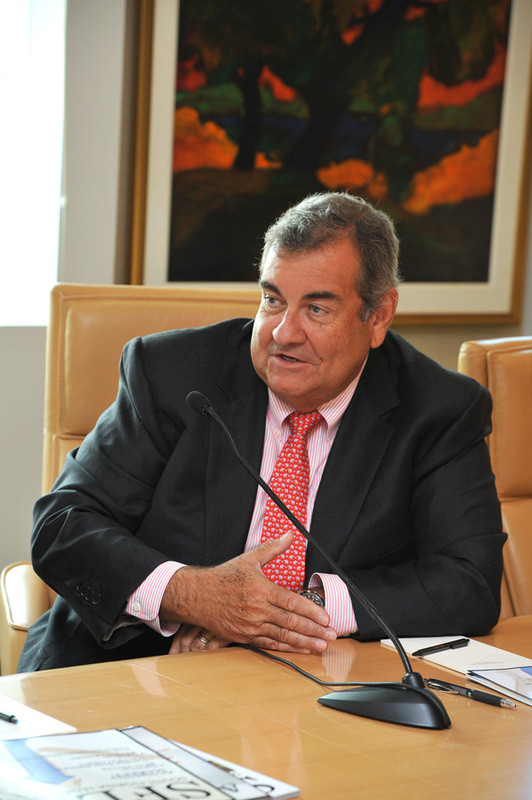 Henriques: Today, there are regulatory directives around that side of the lending business. It is absolutely frowned upon to set up any type of payment that rewards the person approving a transaction. In our bank, we totally separate the two functions. The person who is bringing in the transaction and sponsoring it has no say in the actual underwriting. The person who is underwriting the loan is rewarded based on the performance of the portfolio, not on the basis of production. 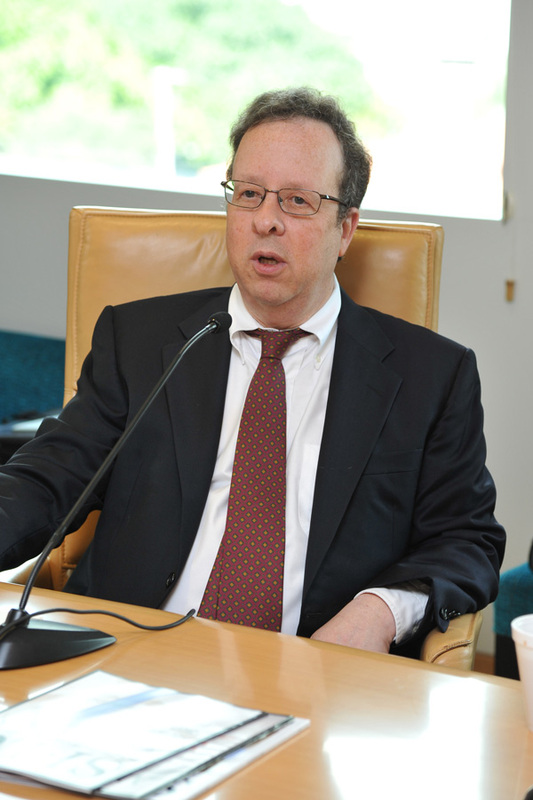 Somerstein: In my experience, that’s unusual for a bank. And let me add that a client of mine borrowed from you on a recent project and you took a conservative approach and did a very good job of knowing your customer. Henriques: Thank you for those kind words. We truly believe that it’s service that differentiates one bank from another. Foschini: I see a change on the CMBS [commercial mortgage-backed securities] side. In previous cycles, there was no difference between the two areas. Now, I do see a lot of regulatory discipline in this area. Some of the regulation makes sense and some makes life more difficult.In general, the CMBS concept does work well, when applied correctly. Not everyone wants a recourse loan. If you do a deal with 100 investors, why should you sign for the loan and risk losing your house if the deal goes bad? In my opinion, CMBS is an excellent tool to create liquidity. What came unhinged in the last cycle was the financial engineering and the credit ratings. Taking packages that included high-risk securities and giving them an A rating just didn’t make sense. Q. How are you helping your clients deal with the financing of their transactions? English: I’ve been lucky in that my clients have been able to figure out the financing for their deals. That includes some challenging pieces of property, where the fundamentals of lawyering have come into play to squeeze square pegs into round holes. But most of my clients who are buying and developing have strong cash positions and are not highly leveraged, so it’s been easy to put together the financing for the portion they did want to get into debt. On the other hand, our lender clients are having a harder time doing deals, because there are so few projects that meet their metrics. We have seen insurance companies be more aggressive in pursuing niche markets and finding opportunities. For instance, there is almost no financing out there for marina properties, and lot of them have maturities coming up, so we’ve been able to see those deals come together. Somerstein: A lot depends on the type of product. You mentioned marinas, and I represent several marina developers. With one apartment marina, we used mezzanine equity financing to comply with the Fannie Mae requirements. Fannie had refused to finance a marina if it covered more than 25 percent of the area, so I created a third-party entity to own the marina bottom and gave a perpetual easement to the docks, and included a legal description of the docks as part of the apartments. We have also completed a number of deals by restructuring the ownership in entities. 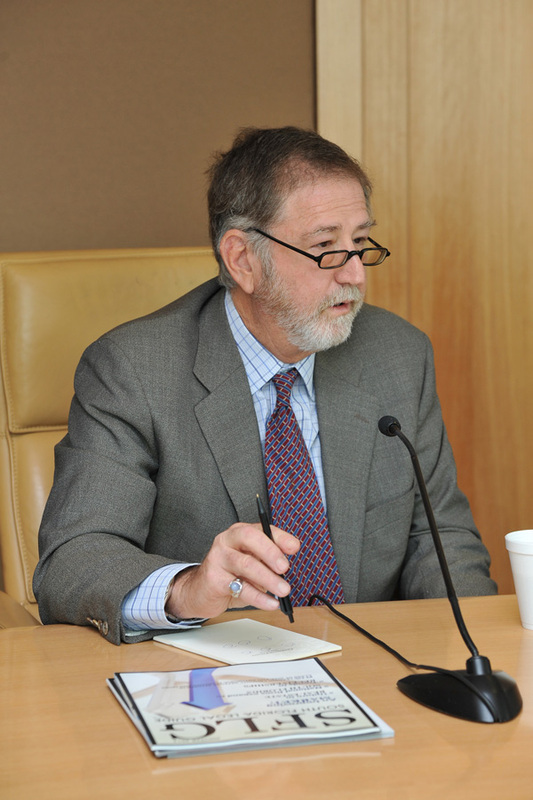 Cronig: My clients generally finance their acquisitions themselves. When seeking financing, the biggest problems occur when foreign purchasers have a problem qualifying for U.S. banking relationships. The famous know your customer regulations, in my opinion, have been taken too far. One of the results has been that South Florida has missed out on many foreign investment opportunities, including the EB-5 projects that can generate new jobs here. Q. What about handling financially distressed situations? Kriss: In dealing with distressed transactions, I tell clients who are lenders or purchasers of notes to make the deal. Figure out what you have to do to get the borrower or subordinate lien holder not to contest a transfer of ownership. They will usually say something like, “I’m not going to give anything to that SOB.” But when you fight in court, you are spending a lot of money in legal fees and the carry costs are continuing. When you finally get your judgment of foreclosure, you still have to deal with the bankruptcy risk and appeal risk. So if you can construct a deal with the opponent in a foreclosure, you’re better off. Forget about egos and principles. You have to look at these situations from a dollar and cents standpoint. That’s why most of the foreclosures we’ve done have been completed without a big fight. Sometimes you have to get a litigator involved and knock some sense into the opponent, but in many cases a foreclosure can be handled as another transaction. Henriques: Fortunately for all of us, most people still believe that if they borrow money they have to pay it back. It is the exceptions that create the problems and give industry a bad name. When we have a client who is experiencing difficulties, we find that having a clear, upfront understanding of the problem is the best way to react in an appropriate manner and provide them with the right level of support. That happens most of the time. There are instances where a borrower walks away and says, “This is your problem, bank.” But remember that whatever doesn’t get paid back to the bank hits shareholders in their pockets, and if a bank fails, those costs wind up being carried by the public at large. So whatever benefit you perceive from not paying back a loan, the problem ends up being carried by someone. Most of the time with us, a borrower will come in and says here’s the situation, here’s what I have to pay back and here’s what I can do, and most of the time we develop a plan that works for everybody. Q. How has the recent rise in interest rates affected the market, and what do you see going forward? English: The forecasters say rates have to go up, but the question is what time horizon. I would hope we’re looking at end of 2015 before any significant rise occurs, because our recovery needs that much time. However, the sensitivity to interest rates does not apply evenly to all sectors. Where cap rate compression is happening as in multifamily, then interest rate rises do hurt. But my clients who are buying and developing other product types are not too concerned about rates. Somerstein: I agree 100 percent. The question of rates really does depend on the product. In the South Florida residential housing market – which is a real driver in our sputtering economy – buyers have a real sensitivity to long-term rates, which have gone up about 100 basis points in the last six months. But since rates are still far below historical levels, that rise won’t stop the growth. One other thing to consider is that the federal government has been judicious in the release of single-family homes. There is a tremendous backlog of distressed mortgages that have not yet been foreclosed. If the government continues to monitor that process and avoids dumping all those homes, I think the market will be fine. As for other real estate sectors like multifamily and retail, the developers will throw higher rates into their proformas, and go ahead with doing their deals. I think we’ll still see good activity. Foschini: I agree, as well. The construction costs of capital haven’t moved at all, and are still very low, so there’s no rate impact there. Even the 100-point basis swing in five- and ten-year Treasuries is still below the historic rate of 8 percent for a non-recourse loan. It’s a healthy climate and developers and lenders look at the fundamentals of the asset, the market and the sponsor, rather than focus on the interest rate. In the commercial market, we’re seeing buildings filling up their spaces and it’s moving toward being a landlord’s market again. Henriques: We are beginning to see a lot more activity on the commercial market as well. Six months ago, a lot of what we were doing was refinancing. Now, most of the new loan production on the residential side is purchase transactions, and we see a lot more activity going forward here. We do expect to see interest rates remain low. Kriss: There is still plenty of room for rates to go up and still stay below or within the historical averages. I think we’re in for some good years ahead. Cronig: At some point, the federal government will stop lending money at a zero interest rate, and investors will head back to assets that pay some return. That might create some competition for the funds now going into real estate investments. Another thing to consider is that the last commercial property in South Florida has not yet been sold. Every time I talk to a broker, I hear, “This is the last piece available – you’ll never be able to find something like this again.” But there are still major infill tracts and underutilized buildings that can be replaced. I am confident there will continue to be opportunities throughout the commercial real estate market.